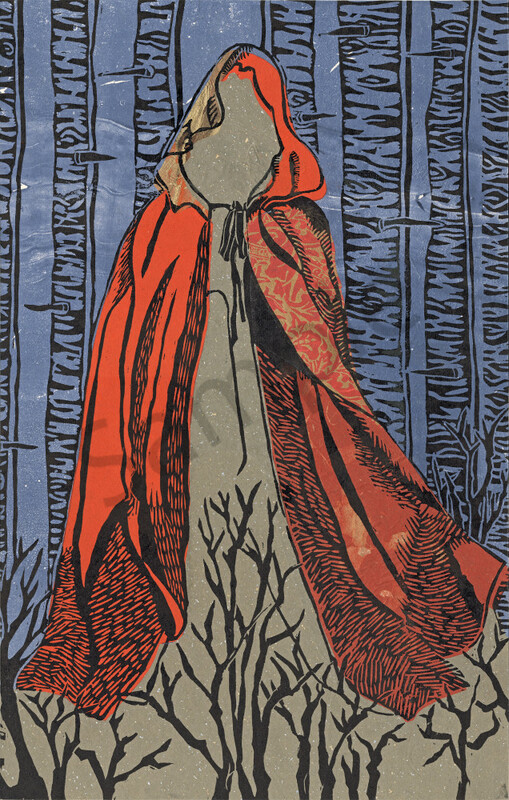 Another take on Red Ridinghood and her cape. This one is a collaged composition with a woodcut print over it, depicting an imaginative forest, and starry night sky. Some of the papers used in the chine colle technique were handprinted, and flecked with mica. The image is part of a Fairytale series that I created.